Essentially, I’m boring. My name is Susan Helene Gottfried. I have a BA and an MFA in creative writing. I own cats. I hang at the Hoity Toity Health Club in the mornings and dream of bicycling 100 miles at a clip. I’ve got two kids and a husband. See? Boring. Are you even still awake? Nope, no day job. I used to work as a freelance copy editor, but then my husband’s high tech company got bought out. I had an agent at the time and so my man and I decided I’d quit freelancing and focus on my ambition — writing fiction. Needless to say, the agent never sold a book for me, we parted ways, and then the ShapeShifter project was born. I was offered representation for it by another agent, but she, too, wasn’t meant to be. Now, I focus on writing and the marketing that goes along with it. Needless to say, I love my life. Oh, I couldn’t give you a date for this one if I tried. I remember writing a book in seventh grade… maybe there was one before that. I call this my birth defect — I was born with the need to write. And while nothing ever came of those early attempts, the desire to get books into the world never left. It chose me, to be honest. When I was a senior in high school, I landed a job in this old-fashioned, mostly extinct creature called a Record Store. I was there when CDs were first released; that’s how old I am. But it was also the perfect time to be working in music. I fell in love with the business end of things and almost went to work for a record label once I had my undergraduate degree. But… I couldn’t figure out how to write books AND hold down that sort of all-encompassing job. So now, I write about rock and roll and the people who make it. It’s my way of combining my two loves. Two afflictions? You decide. Hey, there’s more than one question here! No fair! My ideas come from everywhere and anywhere. When I am deep into a project, I’ll look at pretty much everything through my characters’ eyes. And I mean everything! From going to a hockey game to buying chicken. Yep, I struggle with writer’s block. One thing I’ve learned over the years, though, is that when I hit that wall, the best thing for me to do is rip out the last few paragraphs. Usually, being stuck is my gut’s way of telling me I’ve gone astray. Once I get rid of the bad stuff, I’m off and running again. And no, I don’t use an outline. For my latest project, which I’m not talking about yet, I have the pitch done. When I wrote Trevor’s Song, I didn’t even have that much done. I just wrote, found the end, and then revised. A lot. I probably should point to Chuck Kinder and Reginald McKnight. They were my professors at Pitt, and they didn’t teach me to write; I already knew that. Rather, they taught me to laugh about my mistakes, to learn to recognize them, and to strive for improvement. I’ll never forget the time Chuck wanted to drop a German satellite on one of my main characters. Once your professor does that, the harshest criticism becomes a lot easier to swallow. She said, “Yes.” And then she wanted to hear about Trevor anyway. And, of course, she fell in love. And then she offered representation. And then she fell off the face of the Earth. Maybe she ran off with a real-life version of Trevor. Who knows? That was 2006, I think. Somewhere in there. Self-publishing wasn’t what it is today — a viable alternative. That’s how the Demo Tapes were born — to test the waters and basically give my rabid groupies a book to hold in their hands. I didn’t get it out until 2008, and then Trevor’s Song came out last summer. The ONLY thing I’d do differently is get Trevor’s Song out sooner than I did. A lot of my initial groupies not only stopped blogging but unplugged from the Internet entirely. They probably don’t even know the book is out there. They are people who could have helped create a bigger momentum wave for the book, had they still been around. I do mostly online marketing. There’s still a strong anti-self-publishing bias in my local community. I love doing interviews and guest blog posts, but I think what’s worked best for me is the support of my groupies. People who read Trevor love the guy, plain and simple. And they love telling others what they’re missing out on. I am lucky, and I know it. Nope, although I have a few hidden away — including the one that should have been the victim of that German satellite — that I might revise and put up on Smashwords, just to see what’ll happen. No, not yet. But I can — and will! — tell you that one of the books I’m working the hardest on is the sequel to Trevor’s Song. Sort of… Trevor is part of a rock/metal band. (I’ll let you decide which.) I was never in a band; I’m tone deaf. Instead, I did crew. I was a DJ. I worked in record stores. I was all set to go work for a record label but walked away at the eleventh hour because I wanted to write books. I know the world of music inside and out — and know who to ask when I get stumped on a detail. But the conflict and the problems Trevor faces? All imaginary. I’m hoping to put out two books in 2011 — the third Demo Tapes anthology, with more short fiction featuring Trevor and the band. All of the stories were originally published on my blog, the Meet and Greet at West of Mars. I’m also hoping to get the sequel to Trevor’s Song out. But there’s also something new I’m drafting… stay tuned for that. It’ll be different but sort of similar. Maybe. I’m not sure yet; it’s still the early going. Write, write, write. And be open to constructive criticism from others. The best advice I ever heard came from literary agent Barbara Poelle, via one of her clients: Read 2k words every day and write 2k words every day. There’s no better time to join the Trevolution! And thanks again, Jennifer, for having me stop in today. 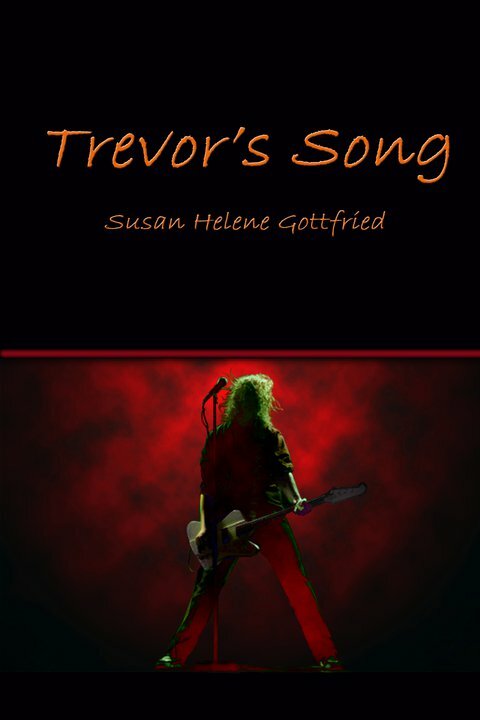 Susan Helene Gottfried is the author of ShapeShifter: The Demo Tapes — Year 1, ShapeShifter: The Demo Tapes — Year 2, and Trevor’s Song. She can be found online at http://westofmars.com, where you can find The Meet and Greet, among other goodies. Susan walked away from a continued career in the music industry in order to write books, so it makes sense that most of her fiction revolves around rock bands. Once you get those record stores, radio stations, and fellow roadies and promoters under your skin, they never leave. When not writing, Susan captains the team at Win a Book, a promotional site for authors and book bloggers — and readers like yourself. 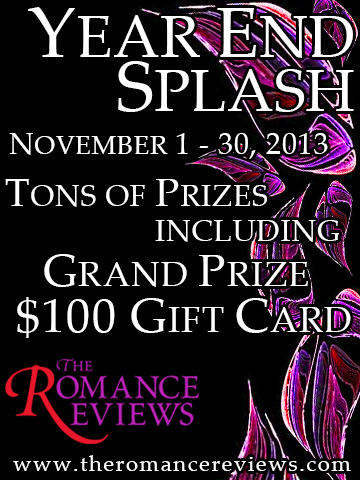 This entry was posted in Featured Authors and tagged author, featured, interview, susan gottfried. Thanks for having me stop in today, Jennifer!